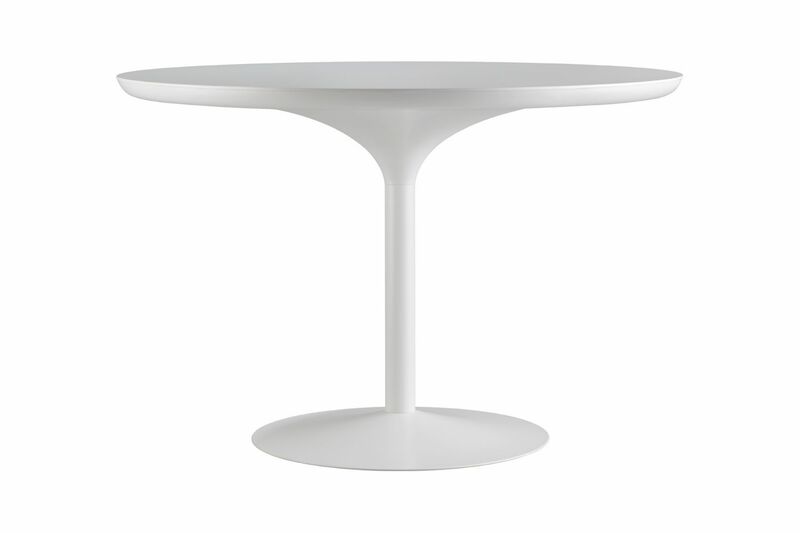 The round Panton table was designed in 1970 and was originally planned as a dinning room table to match the Panton Chair. The table remained a prototype, but now, after more than 40 years, it has finally been put into production by Verpan, which is pleased to present a Â‘genuineÂ’ Panton table. The round tabletop is elegantly mounted on a cone (in steel) and has a round, flat steel foot, making the table a perfect match for the System 1-2-3 dining room chairs.